Acrylic blanks are hugely popular to personalize with vinyl...but if you want to make a perfect template to fit the blank it's not always an easy task. 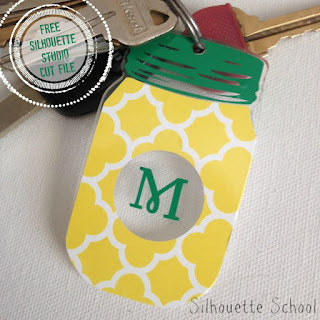 Today I'm going to share the easiest way to do this using one of my favorite Silhouette accessories - PixScan. 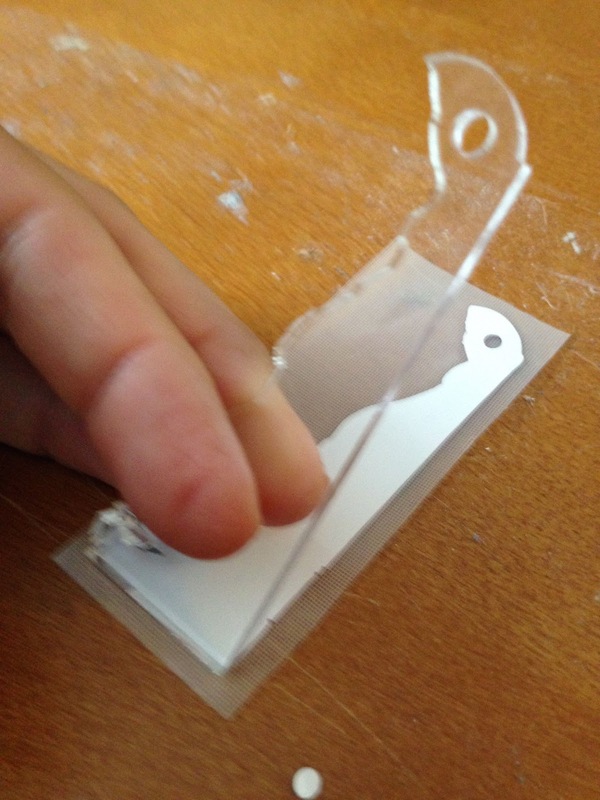 If you don't have Pixscan, I would highly recommend it - but in the meantime, I shared another way to make shape templates a few weeks ago, which works great if you don't have Pixscan or if you have a white or clear blank that doesn't pick up well on Pixscan. Most acrylic blanks - especially clear ones are going to come with a brown protective cover sheet on them. 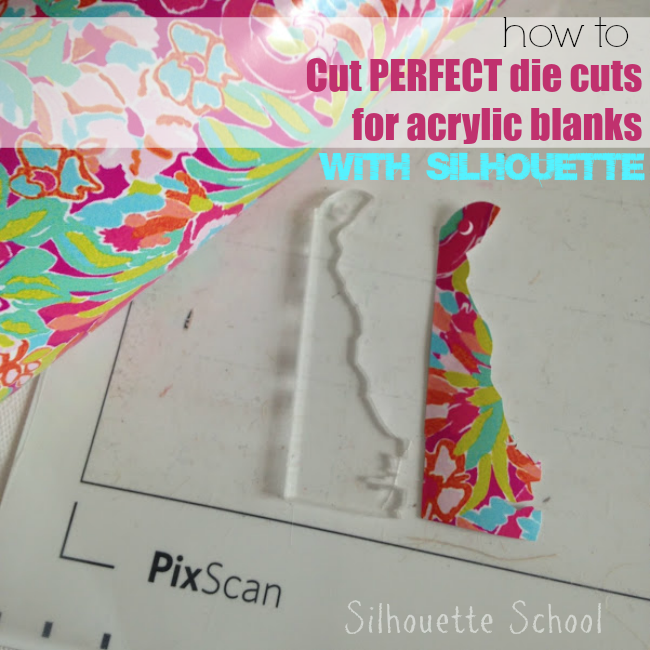 Keep that one there while you create the die cut template - it's crucial! The contrast between the brown and the white PixScan mat makes it much easier to scan. Knowing I'm a Delaware girl, My Vinyl Direct sent me a cute little 3" blank acrylic key chain to test out. But you should know they have all state shapes and lots of other shaped blanks including these adorable mason jars! After you've taken the picture, email it to yourself and open the PixScan image. If you're new to PixScan read through the 101 tutorial so you can get the step by step on bringing the image into Silhouette Studio. I always start with the trace because it's far quicker and easier. I simply clicked the Trace tool > Select Trace Area > Uncheck High Pass Filter > Drew a box around my design > Up the threshold > Trace. Once I've done that I get a nice red cut line around the design. Look closely and you can see it around the edge of my design and around the key ring hole. Around the inlet area, I needed to adjust a few of the edit points so I just selected the cut line and then selected the Point Editing tool (in blue along the left sidebar below) and then I could pull the edit points in and out so they were exactly along the edge of the design. 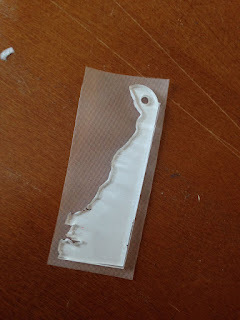 Once it was perfect, I deleted the PixScan image and was left with just the cut line in the shape of my acrylic blank. Remember, the beauty of PixScan, in this situation, is that it keeps the virtual design in exact size proportions to the actual acrylic blank. As long as you don't resize the cut lines at all, when it's cut it will be exactly the same shape and size as the blank. (Remember, ONLY in this case did I have to mirror the image so it was correctly oriented. See above for why I put it on the PixScan backwards). Now you can make the cut on vinyl. To apply the vinyl to the acrylic I find it easiest to pick the vinyl up with transfer tape. 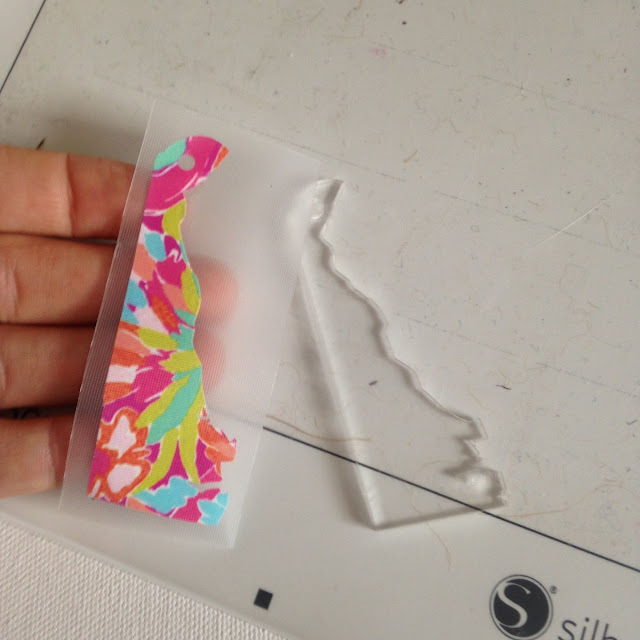 Lay the vinyl down flat on the surface (if it won't stay flat lay it on the Silhouette cutting mat, the sticky surface will keep it flat) and line up the bottom edge of the vinyl with the bottom edge of the acrylic and then lay the acrylic down flat. You can see that using the PixScan mat this way, the edges of the vinyl line up perfect, the sizing is spot on and the hole for the key ring is in exactly the correct spot. I used my vinyl covered Delaware Acrylic as a goodie to stick in a My Home State themed Pocket Letter that I sent to a pal across the country. I'll be sharing more on using your Silhouette to make Pocket Letters soon! Love this post! 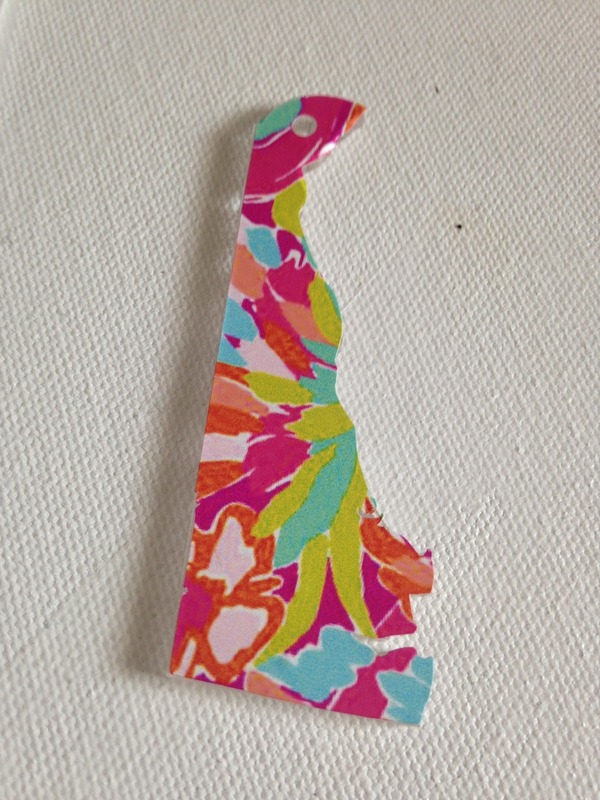 I've been wanting to order some of these acrylic state blanks! Can I ask where you got your pretty vinyl from?